**Tradeblock Cafe is closed during school holidays. 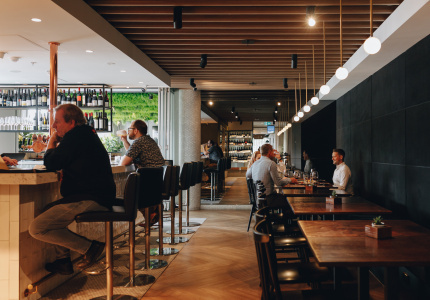 Tradeblock could be Melbourne’s quietest cafe. 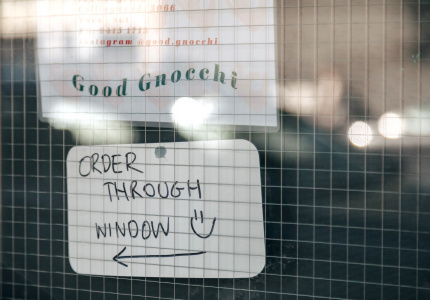 Not because it lacks customers, but because all orders are made in Auslan. 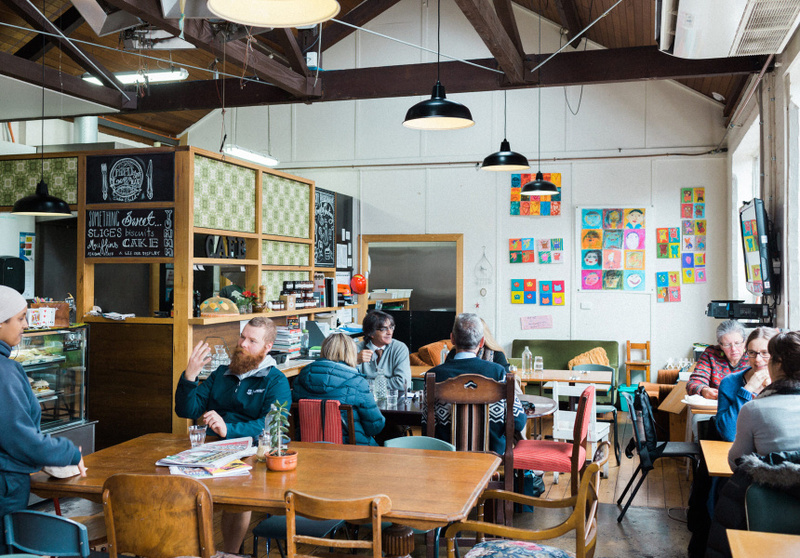 The cafe trains deaf year 11 and 12 students attending the Victorian College for the Deaf (VCD) and other adult deaf community members in hospitality. 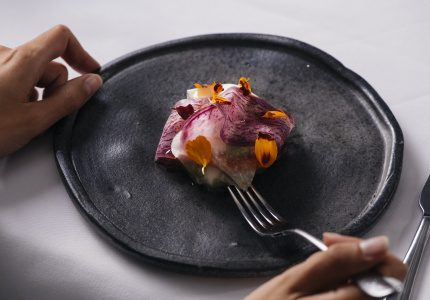 Founder, Amanda Joyce, a teacher at the school, was inspired after dining at a restaurant run by a deaf family in Hue, a city on Vietnam’s east coast. Communicating with the waiters was simpler than she anticipated. So how do you communicate if you can’t sign Auslan? The cafe has developed the Tradeblock Cafe app, a library of videos that teach customers how to order using sign language. If you’re ordering an extra hot, weak, skinny, decaf flat white with one sugar it may take you a little longer to learn, but it’s part of the fun. The app is available for download on iPad only, but Joyce is working on a phone version. If you don’t have an iPad of your own, there’s one on standby at the cafe. 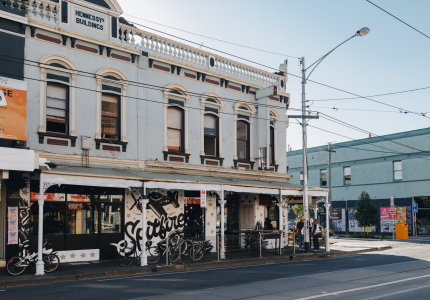 Joyce says a few of her students have gone to work at nearby cafes in the Prahran and Windsor areas, but most employers remain apprehensive. Students training at the cafe can attain a level-one Food Handling Certificate and a barista certificate. 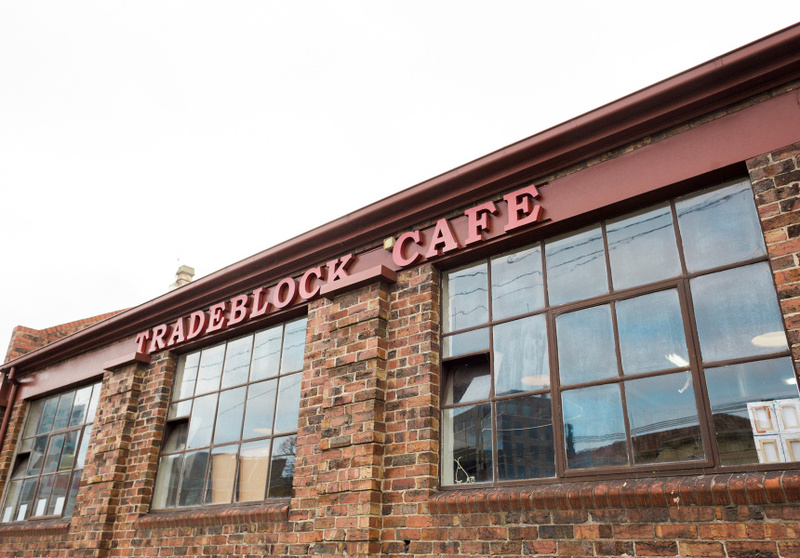 Tradeblock is a peaceful space; we don’t suggest taking your six excitable friends there for breakfast. But it’s perfect for a one-on-one coffee (the beans are by Supreme) or lunch date. 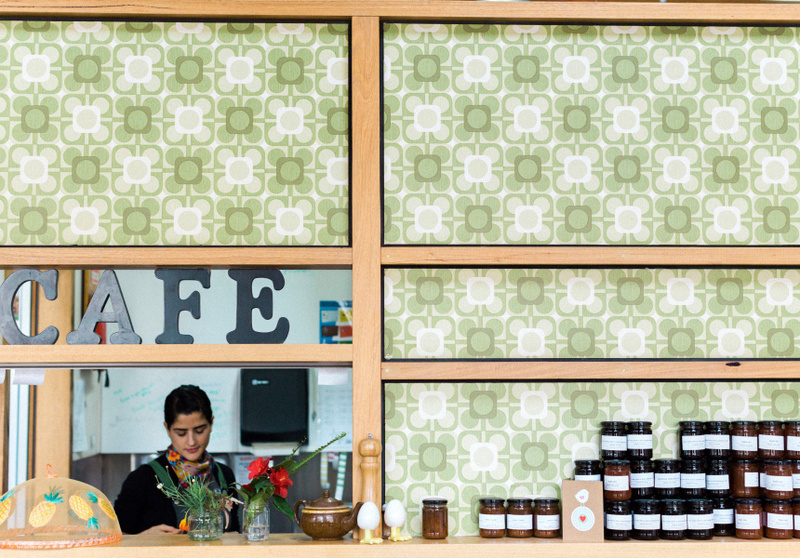 The cafe itself is spacious with light pouring in from the enormous windows that border it. It has a range of freshly made sandwiches, salads, sweets and soups, all made in-house and under $10. It also accommodates catering orders.